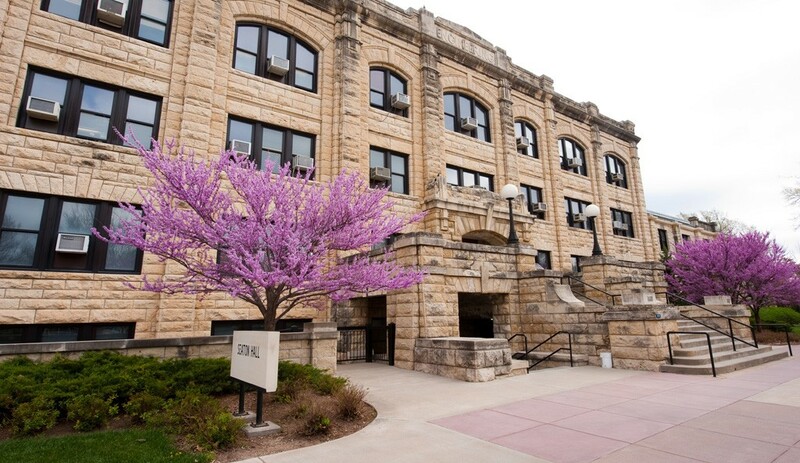 Kansas State University and Professor Kimberly Waggle Kramer, are leaders in promoting tilt-up construction to its students in the Department of Architectural Engineering and Construction Science (ARE/CNS). As one of the only universities in the US offering a full semester-long course in tilt-up construction, students of CNS629 learn about all aspects of the tilt-up construction process. Needham DBS was invited by Professor Kramer to do a special topics guest lecture. Jason Blankenship, a 2007 BS/MS graduate of K-State ARE/CNS, presented on the topic of Tilt-Up Sandwich Panels. Topics covered included: history of sandwich panels, energy code background, wythe connector types, and non-composite and composite panel behavior, mechanics, and construction processes. 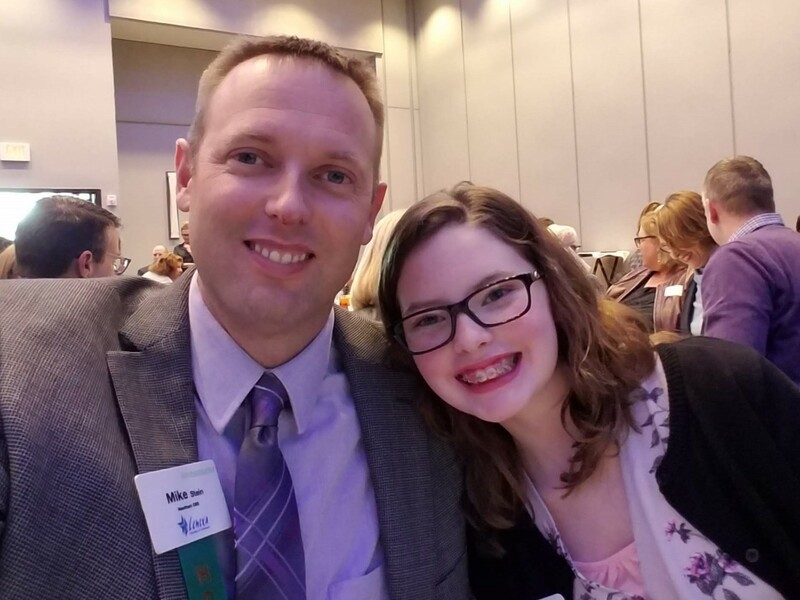 Mike Stein and his Daughter attend State of the City. Needham DBS’ Mike Stein attended the Mayor’s 2019 State of the City address for Lenexa, KS on Wednesday, February 20, 2019 at Hyatt Place & Lenexa Conference Center. 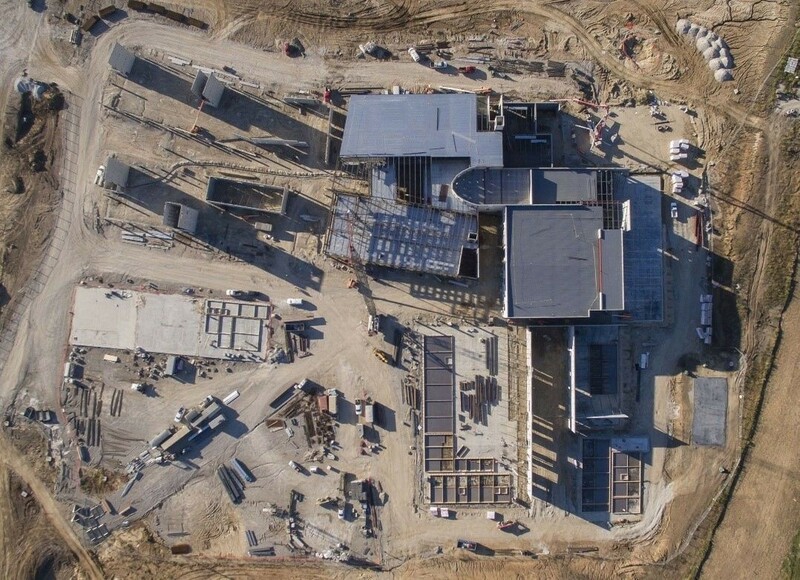 The team that delivered a tilt-up concrete panel solution for the award-winning Olathe West High School project were invited to present at the 42nd Annual Scholer-Peterson Concrete Conference at Kansas State University on February 2, 2019. Jason Blankenship with Needham DBS, along with Travis Downing with McCown Gordon Construction and Aaron Curtis with Lithko Contracting gave a presentation highlighting the challenging design and construction aspects of the project and outlined the process the team used for successfully executing the complex project. Some of the key points of the presentation were: reviewing the factors in selecting a tilt-up approach, the challenging lateral system design, execution of the segmented arc “black box” panels, detailing coordination, the use of cast-in thin brick and insulated panels. In addition, the use of BIM for tilt-up panels was discussed. Revit was used for the BIM not only as a design coordination tool, but also as a platform for tilt-up panel detailing, and then leveraging the benefits for construction use. Needham DBS Board of Directors held their Annual Board of Directors and Shareholders Meeting to present financials to current shareholders on Friday, January 18, 2019. The meeting was held in the Fireside Room at the Shadow Glen Country Club followed by dinner in the Main Dining Room. Engineering News Record, ENR, Magazine spotlights Project Dylan, currently under construction in Tulsa, Oklahoma. Link to the article E-Commerce Logistics Test Limits of Tilt-Up Construction. 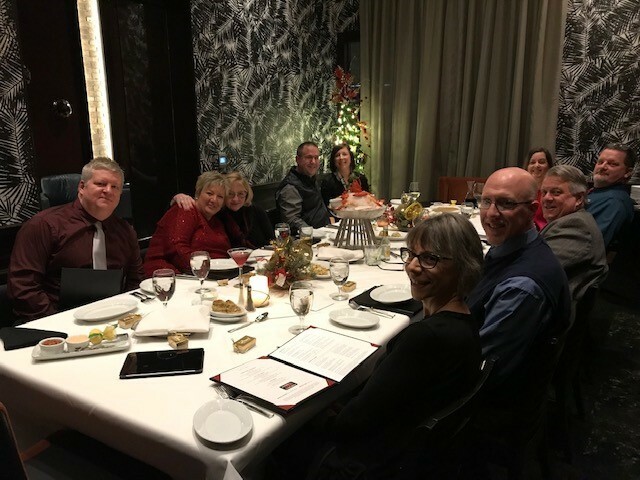 Needham DBS' Kansas City Office celebrated the success of 2018 with a year end Christmas Dinner. 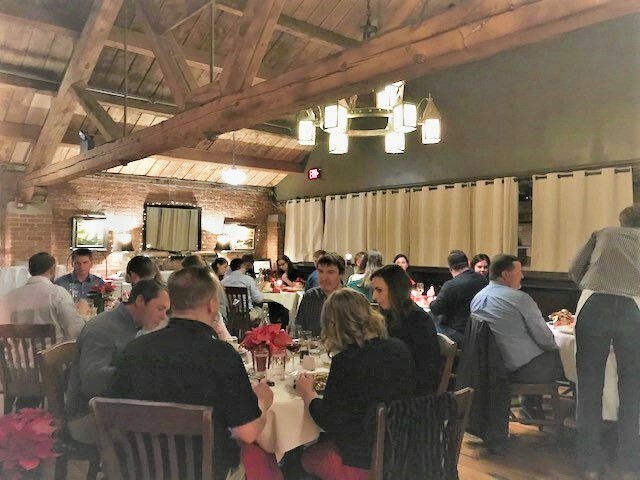 The dinner was held at Grunauer in Kansas City's Historic Freight House District on Saturday, December 15, 2018. Employees and their spouses enjoyed an Austrian-German meal of appetizers, dinner and dessert. Sean Wonderlich passes the Fall 2018 NCEES Principles of Practice of Engineering (PE) Exam. The PE civil/structural exam is a civil breadth and a structural depth examination. The breadth exam contains questions from all five areas of civil engineering. 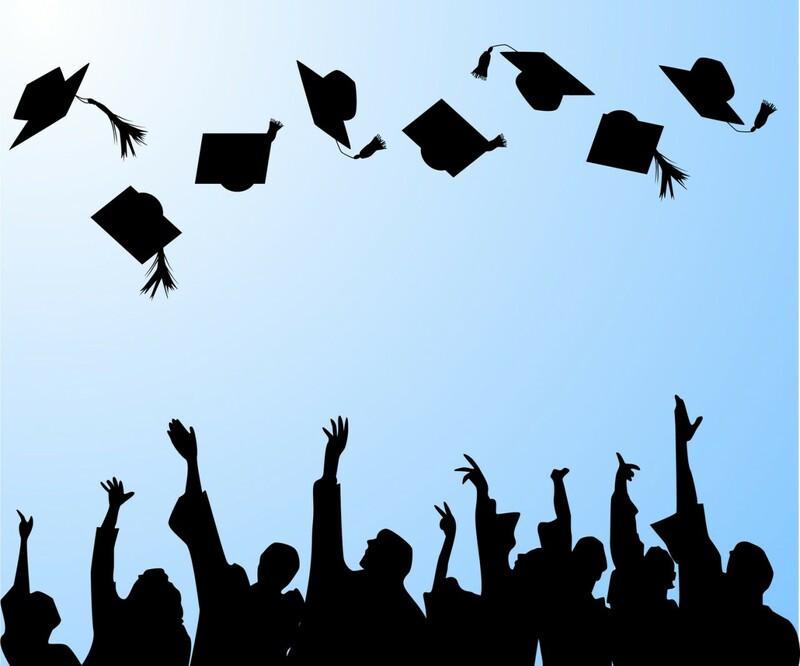 The depth exams focus more closely on a single area of practice in civil engineering. Examinees work all questions in the morning session and all questions in the afternoon module they have chosen. The exam is an 8-hour open-book exam. It contains 40 multiple-choice questions in the 4-hour AM session, and 40 multiple-choice questions in the 4-hour PM session. Needham DBS appreciates the effort put forth by employees who invest their time and effort to take the exam. Congratulations Sean! Karen S. Hand, PE, President of Needham DBS, presented a 2 hour seminar to about 90 contractors for the Fall 2018 Johnson County Contractors Licensing Educational Seminar. 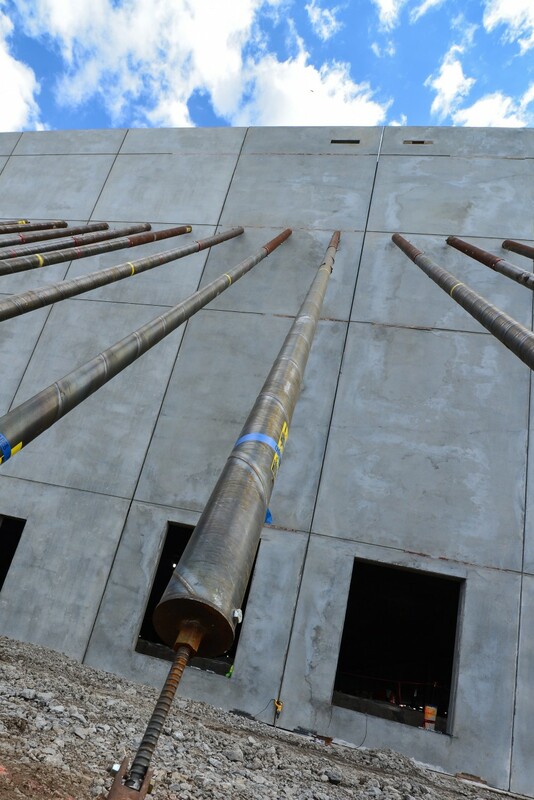 The presentation of "Temporary Wind Bracing of Tilt-Up Concrete Panels" was at 8 am-10 am, October 30, 2018 at the Overland Park Convention Center. 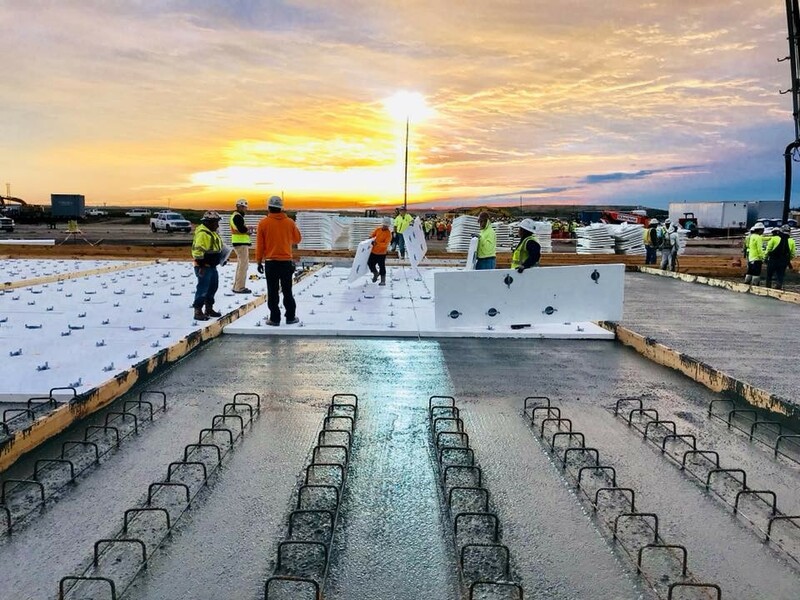 OSHA regulates the construction of buildings with concrete panels by requiring the panels to be temporarily braced to prevent panels from overturning or collapsing during construction. 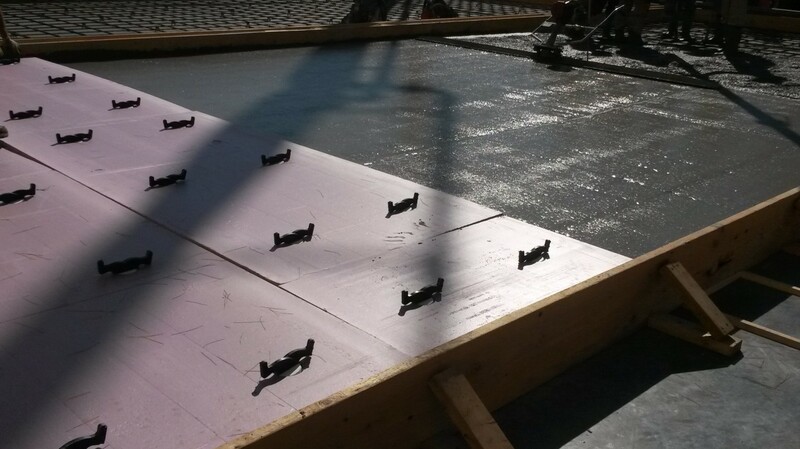 The Tilt-Up Concrete Association's brace document provides contractors and engineers with detailed instructions to interpret the existing codes and apply the forces to panels during the construction phase of the project. Significant changes have been implemented since the last version. The guide is intended to be used in conjunction with ASCE/SEI 7-16 for access to the figures and tables. Attendees learned historical background leading up to the current guideline. 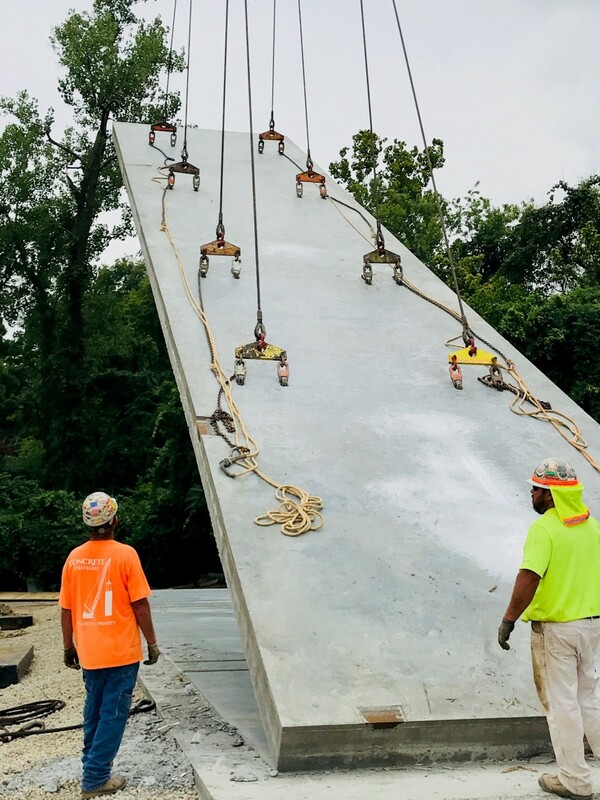 Major changes to the TCA Guideline for Temporary Wind Bracing of Tilt-Up Concrete Panels During Construction were presented as well as jobsite safety tips and case studies for bracing Tilt-Up Construction. Jeffrey Needham, Needham DBS, sponsored by the Concrete Promotional Group (CPG), presented "Composite Tilt-Up Panels - The Future of Tilt-Up Walls" to the AIA Nooniversity held on October 10, 2018. The presentation explores the current state-of-the-art in composite tilt-up panel construction and explains developments in design methods for tilt-up composite panels. The difference between solid panel design and the two-wythe composite design will be illustrated and the limitations of the current composite design methods will be shown. The future of composite panels in tilt-up construction concludes the talk. Thanks to Christy Martin, Executive Director for CPG, and the Kansas City AIA for the opportunity. Michael W. Stein, P.E. joined the Needham DBS team in October 2018. 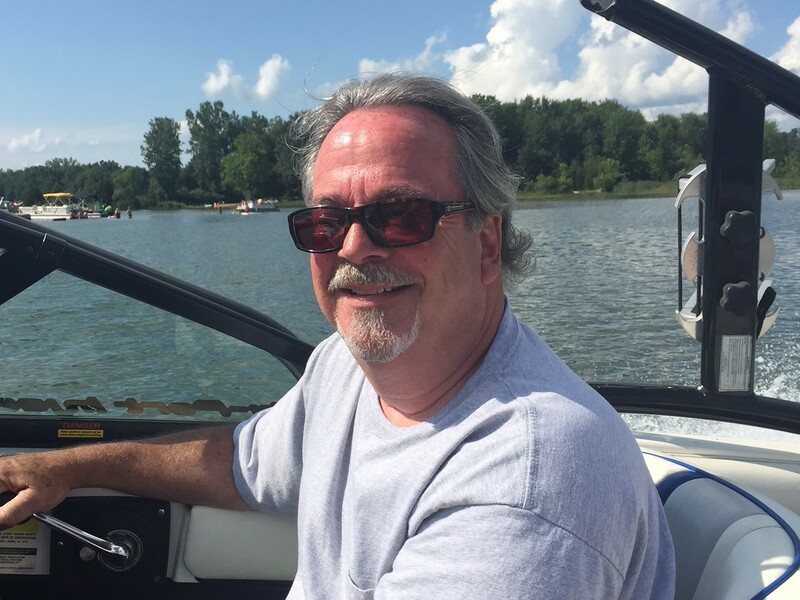 Mike is an licensed professional engineer and is a graduate of Kansas State University. He holds a Bachelor of Science in Civil Engineering, graduating in May 2002. 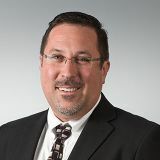 Mike brings experience in Structures and Infrastructure with projects such as single and multi-span bridges, pedestrian bridges, low-rise buildings, water treatment process facilities and other civil structures. He has experience with test laboratories, special inspections and quality assurance reviews making him an excellent candidate for field services to facilitate our DBS operations. 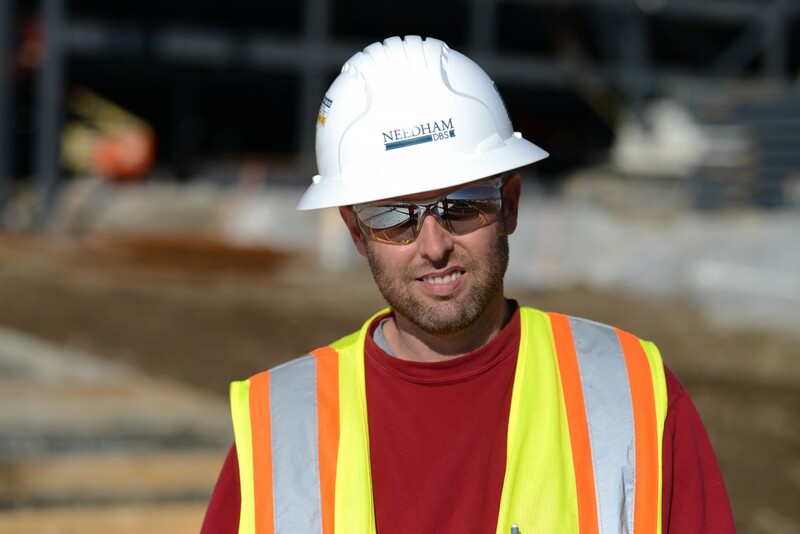 He is heavily involved in the community as an active member and Officer of the Lenexa Chamber of Commerce and takes part in the American Council of Engineering Companies (ACEC) KS Emerging Leaders Program (ELP). We are excited to have Mike on board and looking forward to new opportunities to utilize his strengths to grow Needham DBS. The Board of Directors of Needham DBS is pleased to announce the following management changes effective July 1, 2018. Karen Hand, P.E. is the new President of the firm. Karen will direct all operations of Needham DBS and will also manage the Kansas City office. Karen started her career with Needham and Associates in 1998 after working for two other Kansas City firms. She is a civil engineering graduate of Missouri University of Science and Technology and holds a Master’s Degree in Engineering Management from the University of Kansas. 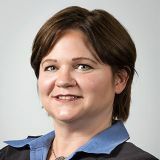 Karen will continue to be a leader in concrete construction on the Board of Directors of the Tilt-up Concrete Association and as a member of American Concrete Institute Committee 551 on Tilt-Up Concrete Design and Construction. Jeff Needham will present "Composite Tilt-Up Panels - The Future of Tilt-Up Walls" to CPG & SEAKM members.. The meeting will begin at 4pm with an opportunity for networking followed by the presentation from 4:30 pm to 5:30 pm. CPG is providing drinks and appetizers to enjoy. The continued adoption of energy codes is pushing tilt-up designers to use more edge to edge insulated panels. Using the two wythes of these panels working together in composite action is a logical solution for engineers to provide a strong and very efficient insulated panel. The use of composite design has been limited due to thermal bow concerns, lack of good design methods, and limited connector types. This presentation will explore the current state-of-the-art in composite tilt-up panel construction and explain developments in design methods for tilt-up composite panels. The differences between solid panel design and two-wythe composite design will be illustrated and the limitations of current composite design methods will be shown. The future of composite panels in tilt-up construction will conclude the talk. Associated General Contractors of Kansas has recognized two Needham DBS projects in the announcement of the 2018 Awards. Winners were announced in March and appeared in the Wichita Business Journal on March 9, 2018. Shulthis Stadium received the "Award of Excellence" for New Construction up to $2,000,000. Needham DBS is looking for technical talent for both the Fort Wayne Indiana and Lenexa Kansas offices. Needham DBS has a culture focused on finding the right candidates for long-term career positions rather than filling job postings. Please send resume and cover letter to khand@needham-dbs.com for consideration. Needham DBS Board of Directors will be assembling to hold their Annual Board Meeting as well as present financials to current shareholders on Friday, Decemer 8, 2017. Needham DBS will close the Lenexa office at 4:30 pm to hold a small reception to welcome Fort Wayne employees Director, Dave Mittendorf and his wife Cathy, Doug Bulmahn, Tim Fraser, Craig Scherschel and his wife Amanda who will be traveling to Kansas City for the weekend. The Needham DBS Christmas Party will be held on Saturday December 9, 2017 at Grunauer's Private Dining Loft in the Freight House District.